Passports are important for travelers and foreigners living overseas and working. They are needed not only for entering any country but are required for accessing many other services and utilities. In China, passport of foreigners is needed for accessing services like using a Chinese net bar, getting tickets for bus, train, planes etc. Passport is also requested by the banks from foreigners for banking services and withdrawing RMB from the teller. In some cases, a passport may be required for booking hotels or even visiting someone in a hotel. Due to the importance of a passport as a legal identification document in China, it is critical to keep it safely and securely. Loss of passport can lead to an unnerving experience. A loss of passport can put question marks on the identity and nationality of foreigners in China. They will be unable to access many important services in the country. Their Visa and legality of stay in China also will come under question. While it is important to safeguard one’s passport while visiting any foreign country it may get stolen or lost due to unfortunate circumstances. If such an incidence occurs in China, the foreigners need to be aware of the protocols and guidelines they need to follow to overcome this situation. 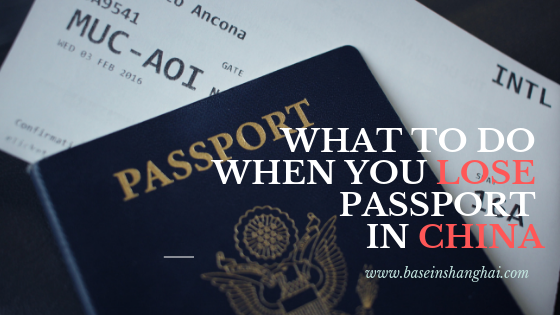 The current article provides a detailed guide of what they need to do in case of their passport being stolen or lost in China. Loss of passport in China can be a terrifying event for most travelers and most likely the first-timers. When the passport is lost, the identity of the travelers is difficult to establish and verify in a foreign country which can have unpleasant consequences. When faced with such an unfortunate event, it is important that the travelers do not panic and follow the established protocols for addressing the situation. They need to report the loss to the relevant authorities and then follow the step-by-step process of issuance of the passport and residence permit. The first step which should be taken immediately after passport loss is reporting of the incidence in the local police station. Travelers need to be careful to report the theft or loss of passport as soon as it happens. This will prevent any potential misuse of the passport by any unscrupulous elements. Once the theft or loss of the passport in the nearest police station to where the passport was stolen or lost, the police will issue a receipt of the report to the traveler reporting the incidence. Reporting the loss of passport with the police and getting a receipt of the report then paves the way for further related steps which need to be taken by the travelers. The next step in the event of passport loss is to obtain a confirmation of reporting the loss of passport from the local exit and entry administration department. Original and copy of the receipt of a report from the local police station where the passport was lost or stolen. Two recent photographs for foreigners in the city where the travelers are living and a receipt of the photograph. Report form with the complete statement pertaining to the loss or theft of the passport. The travelers are required to leave the name and contact details of their contact person in the city along with this report. Photocopy of documents which establish the nationality of the travelers or citizenship in a foreign country. The relevant documents for this purpose can be an appropriate ID card etc. If the person is a Foreigner’s Residence Permit Holder, then he/she has to produce the photocopy of the Foreigner’s Residence Permit. Any other documents which may be deemed necessary and required by the public security authority. No fee is required to be paid by the travelers here. It is important to note that it will generally take 2 working days for processing by the authorities after the receipt of the documents by them. An express and expedited service can be provided only in case of an emergency. It will be good if the travelers can do a follow up with the authorities after submission of the documents for tracking the progress on the “Confirmation of Reporting Loss of Passport”. They should not panic and follow the established process for dealing with the situation at hand. After the receipt of the “Confirmation of Reporting Loss of Passport”, the travelers must quickly apply for new passport replacing certificate. It is in their best interest to do so at the earliest to avoid being on the wrong side of law and facing severe consequences. The validity of the “Confirmation of Reporting Loss of Passport” is for 30 days. 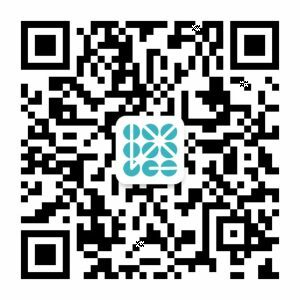 This effectively means that within 30 days from the receipt of the same, the travelers have to apply for a new passport or replacing certificate at their embassy or consulate in China. They also need to apply for a Visa and then the residence permit to the Exit and Entry Administration Division of the Public Security Bureau along with the “Confirmation of Reporting Loss of Passport”. Another thing to bear in mind is that those travelers who fail to finish the process within 30 days of the receipt of “Confirmation of Reporting Loss of Passport” will be treated as illegally staying in China. They will be punished according to Chinese law. This can have terrible consequences for foreigners in China and it is best suited for them to apply for the new passport of replacing certificate with their embassy or consulate in China immediately after receiving the “Confirmation of Reporting Loss of Passport”. To ensure that they continue to stay legally and hassle-free in China, the travelers need to apply for a Chinese Visa or Residence Permit. It has to be applied to the Exit and Entry Administration Division of the Public Security Bureau. The application has to be made immediately after the receipt of new passport or the replacing certificate from the concerned authorities. Merely getting back the passport is not the solution to the problem. The travelers need to apply for and secure the Visa or the Residence Permit as the need may be to continue to stay in China. Tourists who are in China for sightseeing and tourism purposes will need to apply for Chinese Visa and the foreigners who are living and working in China need to secure the Residence Permit. If the Chinese Visa and Residence Permit are not acquired it means the foreigners are continuing to live illegally in China and can be prosecuted by the law anytime. After applying for the Chinese Visa or Residence Permit, it will take up to 5 working days to process the application upon submission of all the required documents. Passport theft or loss is a nuisance and can cause major problems and harassments to the foreigners in any country. It is the responsibility of the travelers and foreigners living in China to protect their passport and keep it securely at all cost. The travelers visiting China on a short trip for sightseeing and tourism generally do not have many problems as they will be visiting the country for a quick expedition. They can manage in most places with a copy of their passport and need not to carry the original passport every time during their stay in China. The foreigners living in China for work purpose are most vulnerable to theft and loss of passports. They need to be extra cautious for ensuring the safety of their passports during their stay in the country. Loss of passport can lead to harrowing experiences for the foreigners. Having a local Chinese contact or organizations who can vouch for them can provide them with some intermittent relief. However, without a valid passport, it will become illegal for them to stay in China and they can be booked under the law as well. It will become increasingly difficult for foreigners to establish and verify their credentials and the purpose of stay in China. Foreigners before coming to China should keep a scanned copy and photocopy of their passport with them. in the case of theft or loss of the passport, the photocopy of the same will enable them to buy train tickets, using Chinese net bars for contacting their families, embassy etc. if they do not possess a personal computer. The photocopy of the passport can also provide relief to them for booking hotel rooms. The scanned copy of the passport should also be kept handy in a USB flash drive. It should also be kept on one’s email. This can prove helpful if the bag containing the original and photocopy of the passport gets stolen or lost in China. Keeping the scanned copy of the passport will allow the foreigners to print it from local copy shops. The photocopy and scanned copy of the passport can provide a little bit of leverage and breathing space for foreigners in China in case of their passport being lost. In the absence of even the scanned copy or photocopy of the passport, it will become very difficult for foreigners to move around in China and they are most likely to get themselves entangled in an unpleasant experience with the authorities. The foreigners visiting China or living there should keep their passport safe at all times. They should keep it in a locked bag or lockers with reliable locking. Passports getting lost can cause a lot of stress and anxiety to them in a foreign country. The passport can also be used for illegal purposes. Some unscrupulous elements can also make fake passports and IDs based on the stolen passport. The travelers can also carry a photocopy of the passport and keep the original securely in their hotels or rooms which will ensure its safety. It is important for the foreigners to ensure the safety of their passports so that they are not left stranded in China. In addition to the passport, foreigners traveling to China can take some more identification documents issued by the authorities of their countries which may include unique government-issued IDs, credit cards etc. These documents can help to verify their credentials in case of any theft or loss of the passport. The photocopies of these additional identification documents should also be kept separately for ensuring their safety. The foreigners traveling to China should get the contact details of the nearest embassy of their country for every destination they will be visiting in the country. When they face any problems or loss of passport due to any reasons, they can contact their country’s embassy or consulate in China. The embassy can guide them properly on the further course of action. The emergency contact information on the last page of the passport should be filled. This may prove helpful in case someone who finds the lost passport may want to contact the passport holder. Dealing with a situation involving a lost passport can result in anxiety. Foreigners traveling to China or living in China need to follow the guidelines and established protocols to deal with the loss or theft of passport. They need to file a report in the nearest police station where the incidence took place and get a “Receipt of Report” from them. on the basis of this, they need to apply for “Confirmation of Reporting Loss of Passport” on obtaining which they can apply for fresh passport issuance or replacement certificates. Once they receive their passports, they need to get the Chinese Visa or Residence Permit as per their requirement to continue to live legally in China.